Education Foundation Fundraiser November 3. 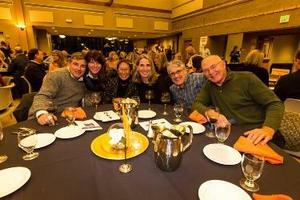 The annual West Valley Education Foundation fundraiser is Saturday. Tickets are still available for the dinner and auction on November 3, 2018, at CenterPlace Event Center. Proceeds from the event fund student scholarships and teacher grants. Tickets can be purchased at the WVSD District Office or online. For information and to purchase tickets, click here.